Lipid bilayer membranes surround cells and also organelles throughout eukaryotic cells. It would be a mistake, however, to think of membranes simply as structural partitions between cells and parts of cells. Rather, membranes are biologically active. They regulate transport of compounds, interact with other cells, and are involved in cell signaling. 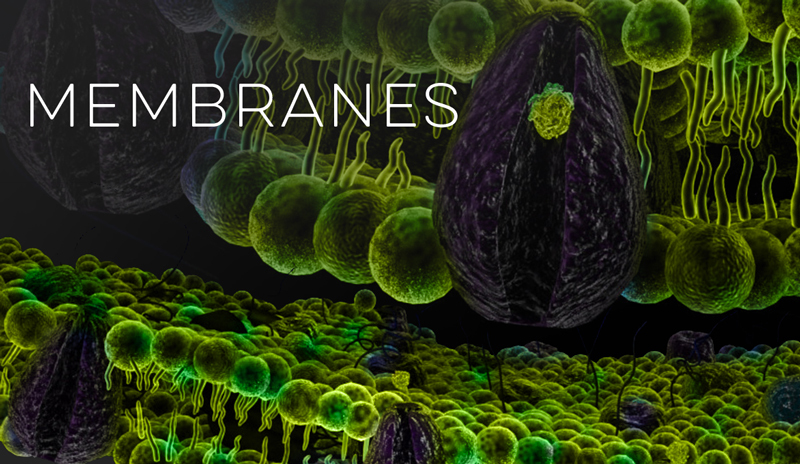 Models in this section will explore these various functions of membranes. This model simulates the movement of molecules across a semi-permeable membrane. 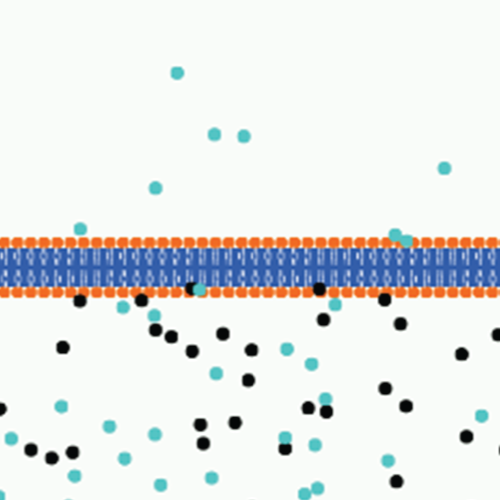 Two types of molecules start out on one side of the membrane and move by Brownian motion. Students can adjust the membrane permeability and heat for each molecule.